The disclosure shines some light on the process behind the hiring of Don Mattrick, who stepped down as head of Microsoft's Xbox division on Monday to be the new CEO of Zynga. Pincus remains at the company as chairman and chief product officer. 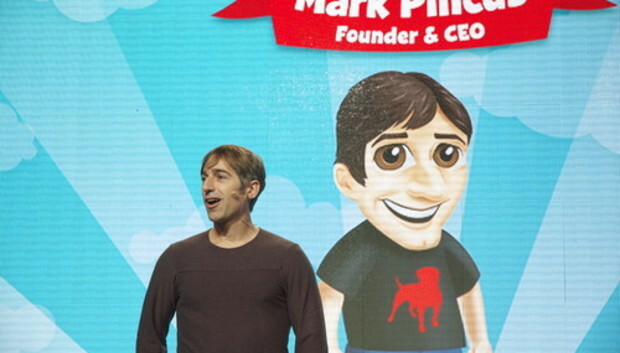 "I joined Zynga because I believe that Mark's pioneering vision and mission to connect the world through games is just getting started," Mattrick said in a blog post Monday afternoon following Zynga's original announcement of the management changes. "As Mark was recruiting me to come here, I was impressed by his creativity, drive and the clarity in which he sees the future of games and entertainment as a core consumer experience," he said. Mattrick, who officially starts at Zynga next week, is leaving his job as president of Microsoft's interactive entertainment business, where he helped to drive development and marketing of the Xbox One, Xbox 360, Xbox Live and Kinect, as well as PC and mobile products. He joined Microsoft in 2007. Mattrick is credited for his role in developing the "FIFA," "Harry Potter" and "The Sims" game franchises, and for growing Xbox Live members from 6 million to 48 million. Before Microsoft, Mattrick worked at Electronic Arts, most recently as president of the game publisher's worldwide studios. At 17, Mattrick founded the company Distinctive Software, which was acquired by EA in 1991.